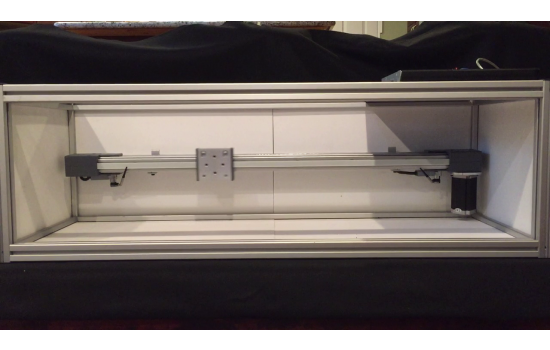 The Slider is a computer controlled stage that allows for precise movements in linear and rotational directions. It can be used to accurately simulate motion in any scene. For example, in testing HDR modes of a camera, one needs to determine if subject motion creates any artifacts in the resulting rendered image. Various test targets - such as resolution, SFR, color checkers, etc. - can be mounted on the magnetic stand and used to study quantitatively how subject motion affects the quality of the results. Dimensions 48” (w) x 15”(h) x 18” (d), 122 cm x 38 cm x 46 cm. Product includes one year warranty on parts and labor. Knowledgeable technicians are available for support.